Here are five of the best Caribbean Boutique Hotels to help you choose the ultimate Caribbean luxury vacation. This list is the result of a recent reader survey published by the widely read Caribbean Journal. We’re quite proud that the Boardwalk Small Hotel Aruba almost made it to the top of the list! Choice is always a good thing, but this does not make choosing between the best Caribbean boutique hotels for your next vacation any easier. Located in arguably the most idyllic tropical destination in the world, the Caribbean is synonymous with paradise-like islands and home to some of the best boutique hotels in the world which usually differ regarding their location, style, and specific attractions. 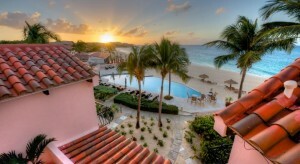 1 – Frangipani Beach Resort, Anguilla. Located on a tiny Island in the eastern reaches of the Caribbean, the Frangipani Beach Resort in Anguilla is an incredible boutique hotel with scintillating rooms and a restaurant which sets this resort apart from many of its peers. Much of the appeal for Frangipani can be found in the small and quaint nature of the hotel which has only nineteen rooms but make no mistake; this manageable size gives way to exceptional service. In this sense, the friendliness and helpfulness of the staff at Frangipani are often highlighted in hotel reviews, although you might expect this for one with such high standards in general. That said, Frangipani also feels much different to many of the other Caribbean boutique hotels in and more like a private villa with all the comforts and facilities of a much larger establishment. In fact, the owners often refer to the hotel as “barefoot luxury with a private island feel”, and it would be hard to argue with them as it has all the amenities of a large resort while still finding itself right in the midst of secluded beaches, coves, and inspiring scenery. Lastly, what more could you expect for what has recently been awarded the title of “Best Boutique Hotel in the Caribbean” than a world-class restaurant? Providing a quiet experience with freshly squeezed juices, fine wines, and delicious seafood, Frangipani leaves a taste in the mouth which resembles an overall experience you won’t be forgetting anytime soon. 2 – Boardwalk Small Hotel, Aruba. As with many of the Caribbean boutique hotels, the Boardwalk Small Hotel in Aruba is just a few short steps from white powdered sands. The hotel, one of few Boutique Hotels in Aruba, is situated in the heart of a coconut plantation and has been mentioned several times in large publications such as the New York Times and cited as being the perfect location to explore the nearby attractions such as the Bushiribana Ruins or the Aruba Butterfly Farm. 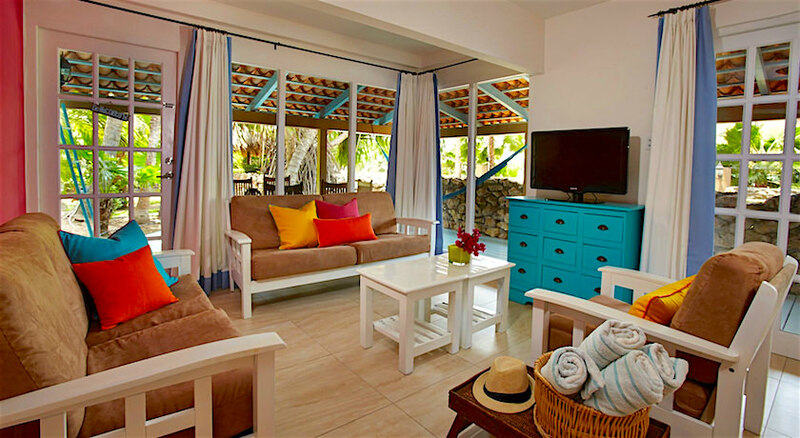 Although it is often noted for having a fantastic location, the real attraction of the Boardwalk Small Hotel can be found within the smaller detail and in particular, the sixteen beautifully designed casitas in which guests will stay. Complimented by a private patio with barbecue and hammocks, each casita features stylish dining areas, a fully equipped kitchen, and particularly impressive bathrooms. Family-run and with a clearly visible focus on providing a personal touch, the hotel’s interior is covered in colorful masterpieces from local artists and also features an excellent Aloe shop which specializes in Aloe Vera products. With an outdoor pool and lounge area right next to the casitas and Palm Beach just a few steps from the hotel, a stay at the Boardwalk Small Hotel also grants each guest free access to the neighboring Moomba Beach Club and discounts for every purchase. Read more about the Boardwalk Small Hotel on this site. 3 – Secret Bay, Dominica. The island of Dominica is hardly world famous, but for anyone who has traveled to this part of the Caribbean, it’s probably best that it stays that way. Located in a dense jungle in the heart of a truly unspoiled paradise-like island, Secret Bay is without doubt one of the best hotels in the Caribbean. 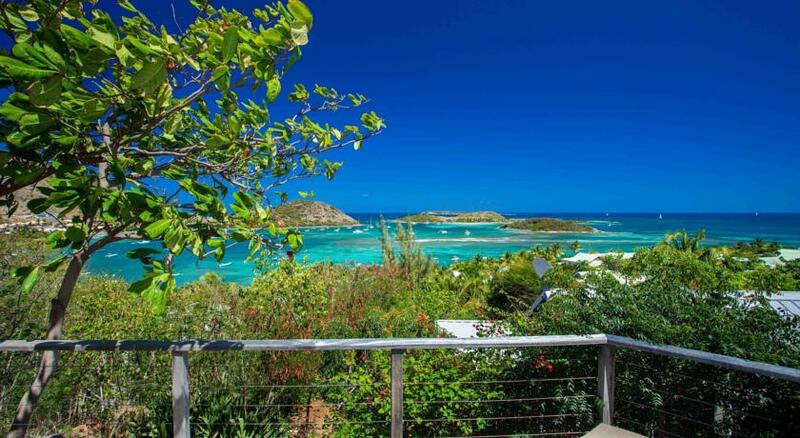 As you might expect, the tropical feel and private nature of Secret Bay is hugely popular with tourists seeking an eco-friendly escape from the modern world. Where local fisherman are busy catching your evening meal, and hotel servers are firing up the coals for the barbecue, in many ways, Secret Bay is a cultural experience which offers each guest a close encounter with the local cuisine in a tropical setting. 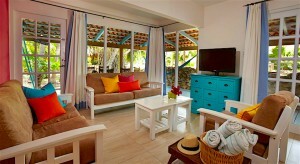 However, with only six villas on this tropical mountain side, Secret Bay is also a hotel which is in high demand. Intimate and romantic in every way, these villas are located in the trees which possibly make it a unique hotel on this list and the hotel chefs are notorious for adding the final touches to every stay. 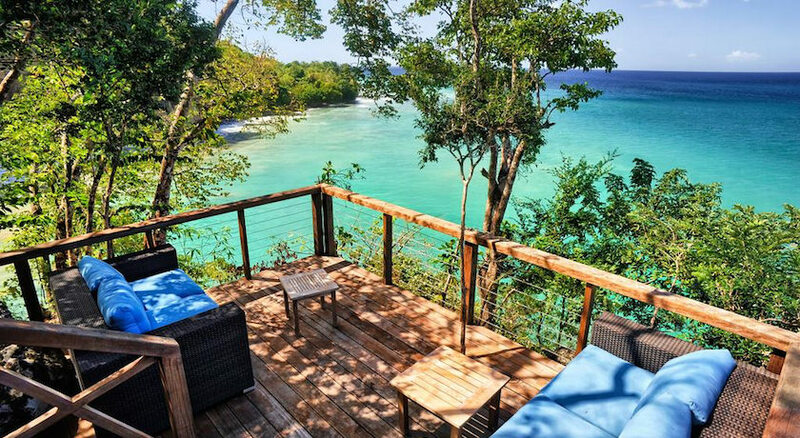 Unspoiled and as close to a hidden gem as you will find, Secret Bay offers eco-luxury villas in an isolated setting which is much different to what you will find with almost any of the other Caribbean boutique hotels. 4 – Karibuni Lodge, Saint Martin. On the French side of Saint Martin, you can find the Karibuni Lodge, one of the smallest hotels and best boutique hotels in the Caribbean. From a beautifully presented breakfast basket each morning to a private offshore beach bar and luxurious rooms, this hotel offers a big experience in a quiet setting. A unique part of the hotel is the beach bar as mentioned above, which is located on another island a short distance from the shore. Pinel Island is within sight of each room and is a natural haven where Karibuni has managed to build an excellent bar and restaurant that fits seamlessly with the surroundings. Boats will shuttle guests to the island twice every morning, and if it wasn’t for the quality of the hotel itself, Pinel is a unique island you might feel reluctant to leave. Umbrellas, beach chairs, and a beautiful pool offer the perfect place to take in some breathtaking views but then the suites themselves are also the ideal place to hide from the sun during the day. Bright and spacious, these rooms are all designed with a clean appearance, but if you wish to take it up a notch, there is also a Deluxe Suite which has a Jacuzzi with stunning ocean views. 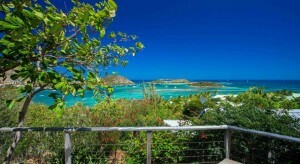 Rockhouse is the last contender on the list of the very best boutique hotels in the Caribbean. Location wise, you just cannot ask for more than the dramatic cliffs surrounding Rockhouse as it sits beautifully in a small cove. 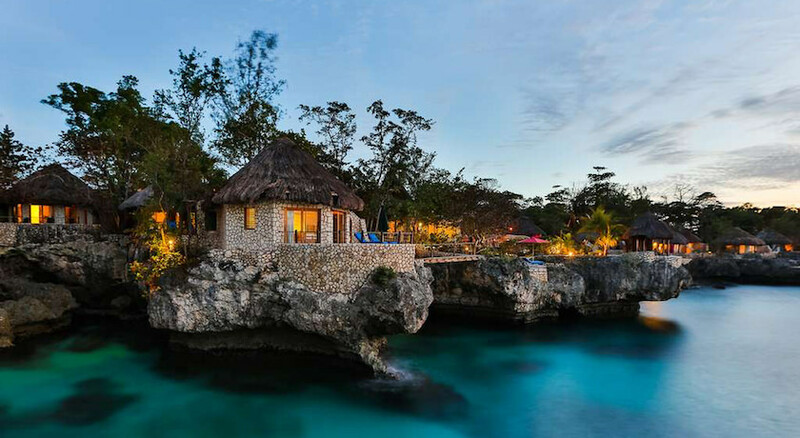 Offering unrivaled sunsets, sublime food, friendly staff and a pleasant interior, there are simply no rivals in Jamaica which come close to this. Rockhouse consists of more than 30 bungalows making it the largest hotel on this list, but this does little to convey how it offers a more subtle experience. Staring out onto the turquoise blue Caribbean waters, there is ample chance to bask in relaxation or sip cocktails to the sound of some light reggae music. That said, there is the opportunity to climb down to the blue waters below, and Rockhouse does also have one of the most incredible swimming pools in the world, a 60-foot infinity pool with dazzling views. Spa treatment rooms have recently been added to the growing number of facilities nearby, and it offers a broad range of detox therapies to help you unwind. Another highlight of the hotel are the rooms which, although relatively small, are equipped with a four poster bed, outdoor showers and a terrace with breathtaking ocean views. And then there is the food, for there are no less than three restaurants to choose between at Rockhouse. These offer a variety of modest Jamaican street food including dumplings and steamed fish, to jerky chicken fajitas in the more upscale Rockhouse Restaurant.